Australia, Belgium, Canada, Chile, Colombia, Germany, Italy, Japan, Kazakhstan, Netherlands, Russia and Serbia advance to the Finals in Madrid. 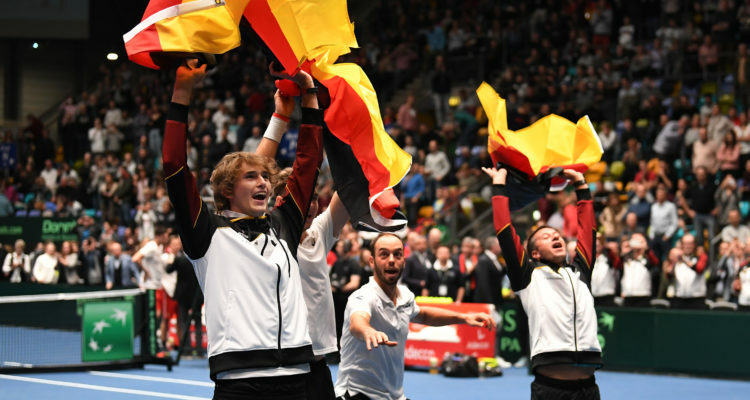 The ITF has today announced the results from day two of the Davis Cup by BNP Paribas Qualifiers which confirmed the 18 nations taking part in the inaugural Davis Cup by BNP Paribas Finals in Madrid on 18-24 November. Australia, Belgium, Canada, Chile, Colombia, Germany, Italy, Japan, Kazakhstan, Netherlands, Russia and Serbia. The draw will be held on 14 February in Madrid. The 12 losing nations will compete in the 2019 Zone Group competition. The Groups will be allocated on Monday 4 February, according to the new Davis Cup Rankings, with the draw taking place on Wednesday 6 February. This entry was posted in Davis Cup and tagged Davis Cup.